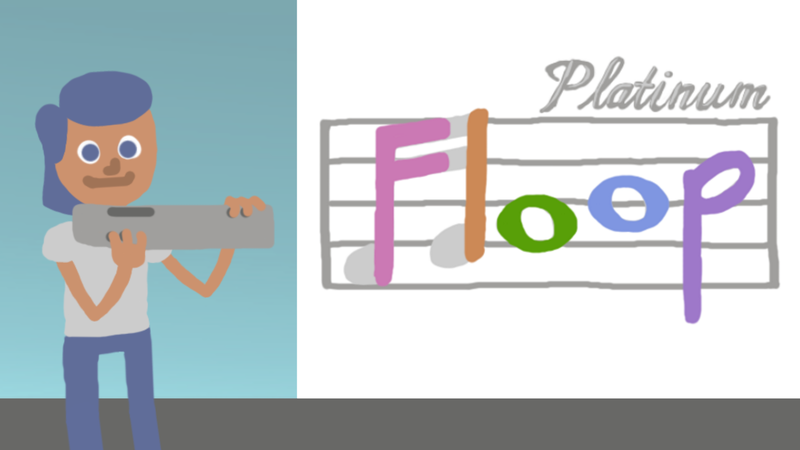 Floop is a game about sophisticated woodwind music. To play, simply mash your face against your computer keyboard. The controls are easy to pick-up. 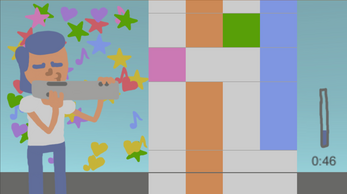 You can add whatever music you like as digital sheet music. 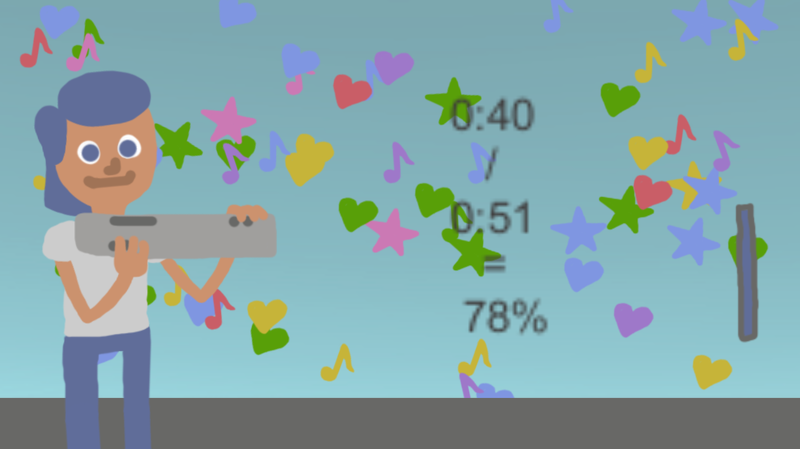 A nearly limitless amount is available free online. Or you can write your own. Here's a handy 'how to' guide. 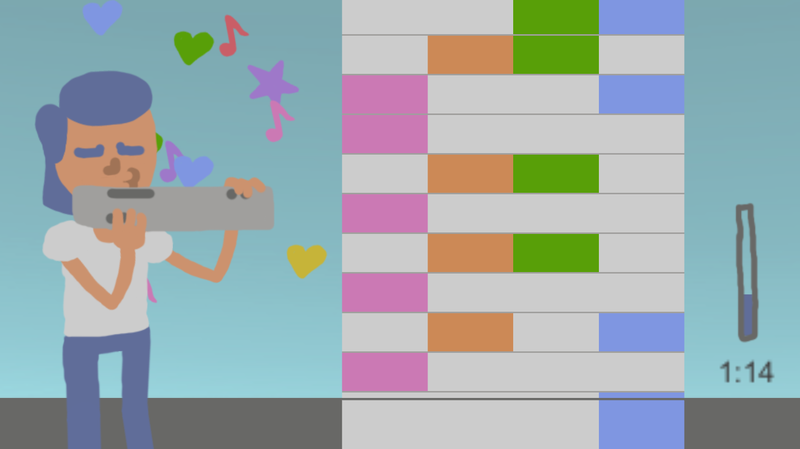 Pick up your keyboard and hold it like the on-screen character. 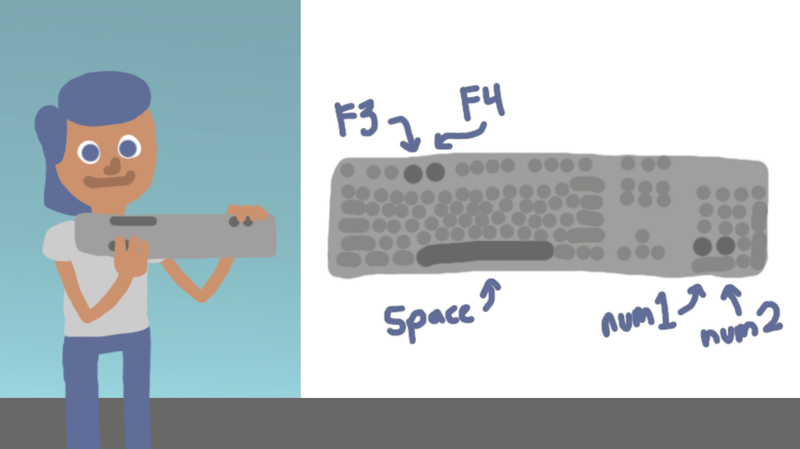 If your keyboard doesn't have F3, F4, num1, or num2 keys, you can use the 3, 4, left arrow, and down arrow keys instead. 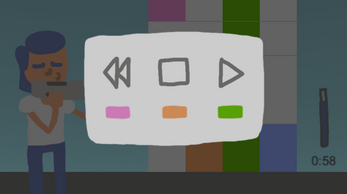 To pause the game, press escape, num5, or up arrow. If you're on a laptop, you can play 'lap style' -- the keys are the same. Try it with a full keyboard, if you can, to get the full experience.